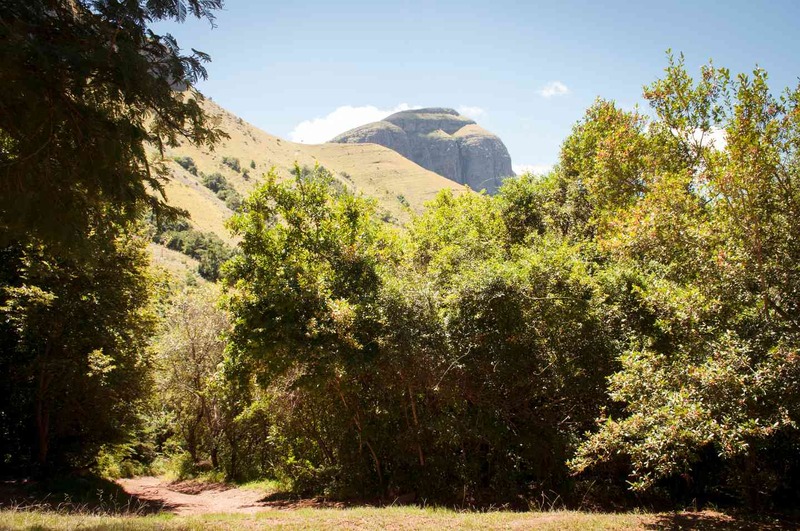 On this magnificent piece of land we hope we have catered for everyone, from Luxury Guest Suites at the main lodge, to the Forest Cottage, Bee Eater, The Beach Cottage & Sunbird self-catering options. 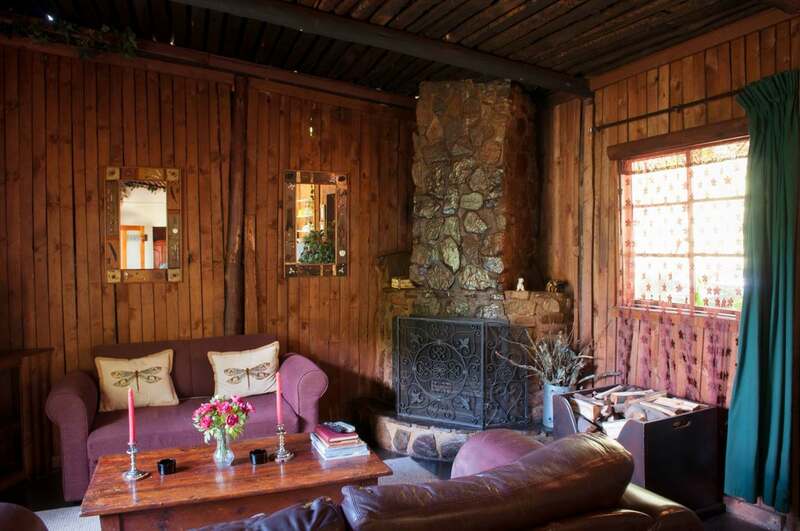 During the cooler months, come and enjoy the Big Fireplace in the Lodge Lounge. There are hiking trails along the stream under the canopy of trees. Treat yourself to an hour or two of relaxation in our Forest Spa. Please note: to ensure your privacy, Lodge Suites are not adjoined to the main lodge, requiring a short walk to the communal lodge areas. Bush Bath - Set in a secluded spot, enjoy a 'Bath' in the bush, with lots of bubbles and champagne under the moonlight and stars. 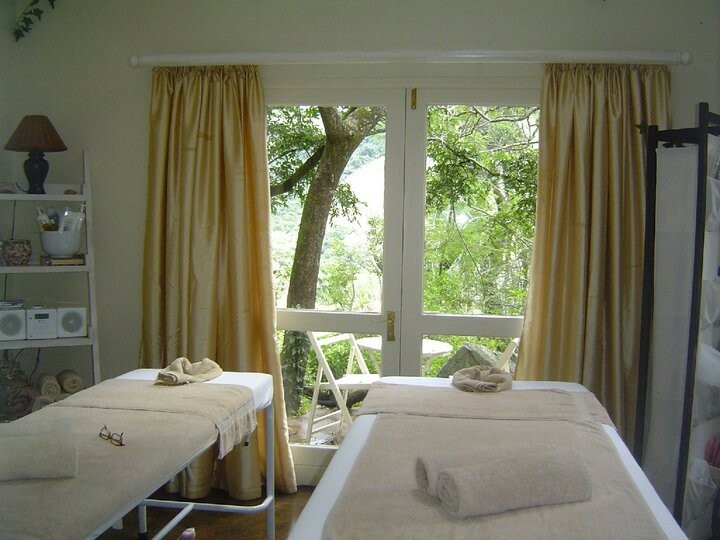 Forest Spa - Indulge yourself in our private Spa overlooking the gorge, go home feeling relaxed and stress free. Gazebo Romantic Private Dinner - Spoil your loved one, and request this romantic setting for a totally private candle lit dinner under the gazebo. Many a proposal of marriage has been accepted in this lovely setting. Hiking - Marked trails through the forest, along the stream on the way to the Waterfall. Bird Watching - We have a prolific variety of uncommon species of birds that can be seen, including a resident pair of Black Eagles. Clay Pigeon Shooting - An interesting and testing range for the novice and experienced shooters. 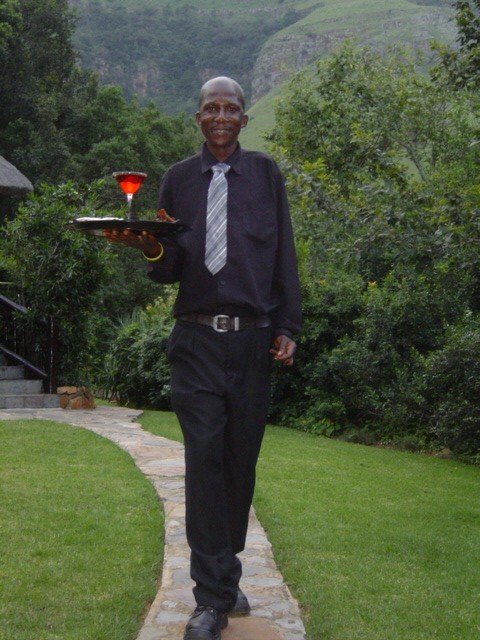 "JoJo who served us with so much compassion and really got a heart for his job"
"We had a wonderful stay at Forest Creek Lodge & Spa. We had a warm welcome and the staff members are very friendly and helpful. 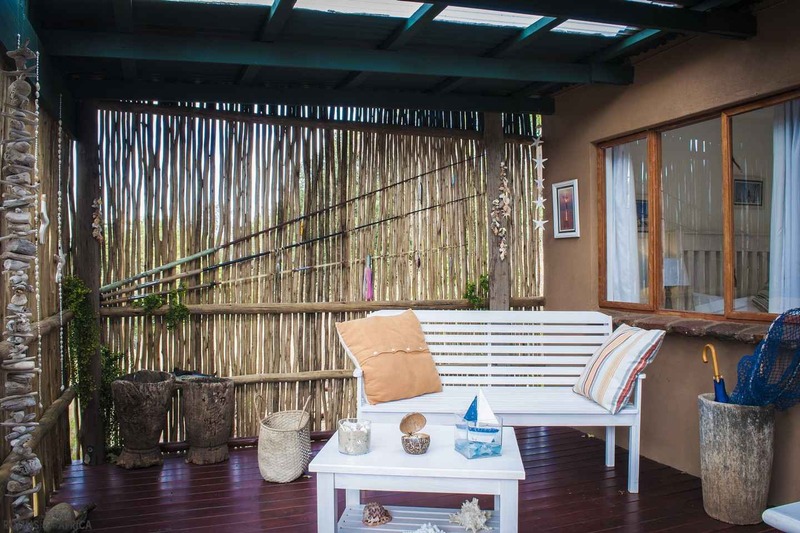 The Beach House Self catering unit is private and comfortable, which allowed us to relax and enjoy the beautiful view. We will definitely be back. " 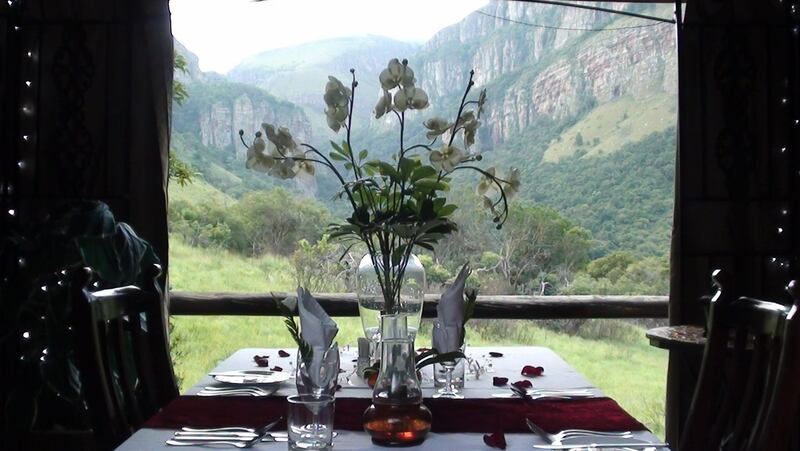 "Great service, stunning location "
"Service was great, beautiful hike, very good food and of course a stunning location. Only thing missing was fishing, otherwise a lovely long weekend. " "Time well spent, worth every penny." "The hospitality, the unspoiled forest, the food, massages and most importantly the infectious friendliness of Badge. Improvement can be made on the hiking trail markings, more especially after the big rocks." "Forest Creek Lodge & Spa stay"
"A welcome break on our rather poignant return home journey from that magnificent Kruger National Park. 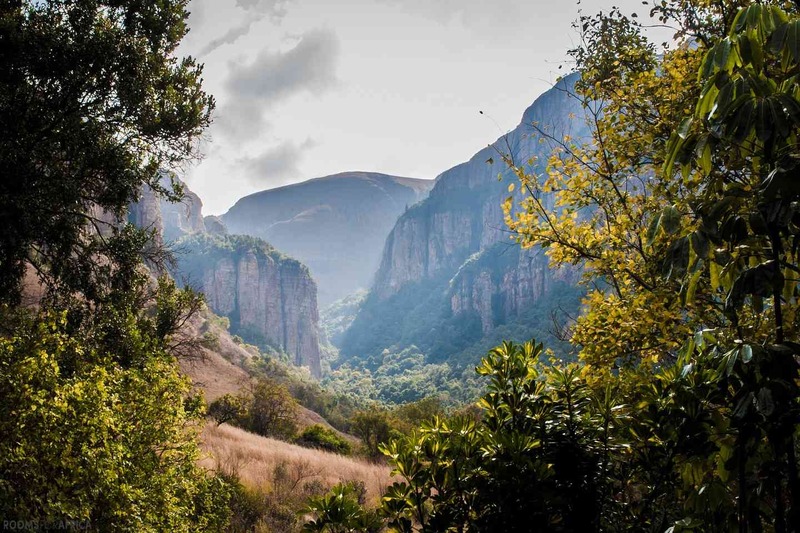 This little oasis nestled in amongst cliffs and wooded mountain crannies was just the right sort of relief we required to face our approximately 3 hour home trip to Pretoria. Very pleasant hikes into the wooded valleys alongside the babbling forest creek was complimented by excellent breakfasts and superb dinners. Friendly efficient staff and accommodation was very comfortable and welcomed wary hikers home to soak away exercise fatigue in either bathroom or outdoor shower. 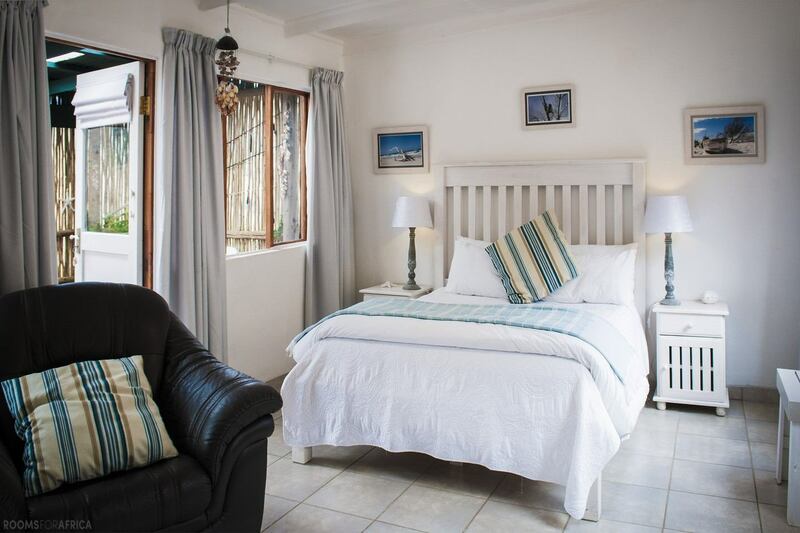 A recommended a stopover location"
Improvement to get wifi signal in our rooms "
"We absolutely loved the food and how the staff handled every one of our needs with a smile, it was by far the best experience we've ever had while on a holiday. Can't wait to return someday. 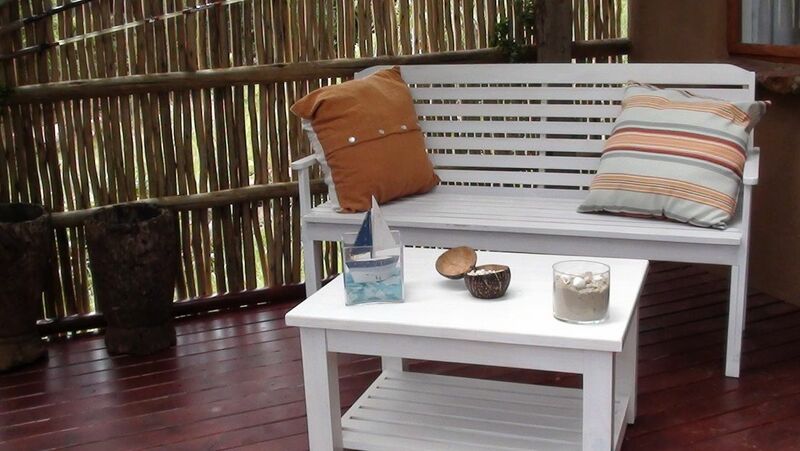 The ultimate destination to go to if one wants to relax and unwind." "Walk in the forest, drinking fresh water from a stream and the black eagles"
"Everything is excellent!! Wonderful venue and amazing staff!! Distance reminders on the trails towards the waterfall would have been nice. "Just as nature intended!! " "Pet Friendly,Fantastic passionate and sincere Hospitality,Secure and comfortable accmodation, Private, Excellent food, Awesome views,breath taking forest and surrounds steeped in History as well as wildlife and birds. Appreciatered the effort to accommodate my pescetarian meals." "We had an amazing stay here for our 6 year anniversary. We were welcomed with champagne in our room and chocolates on the bed. The staff were super friendly and always helpful. The hike up to the waterfall was beautiful and serene. Food was nice. Overall a really really nice place!" "Pure serenity amidst the mountains"
"Absolutely stunning setting, surrounded by majestic mountains all around, particularly from the Beach House were we spent the weekend. Nothing to break the silence but some birdsong. 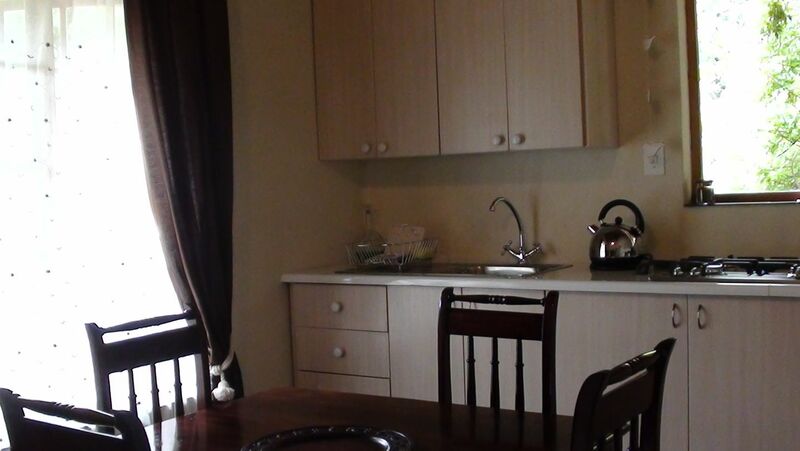 Well appointed and convenient accommodation.Caring and mindful hosts. Highly recommended! " "The owner was a really nice person, very hospitable and the staff gave good service. The rooms was spacious, well-kept with everything we needed. It was also far away from the city and exactly what we expected." "if you want to escape city life this is the best place. 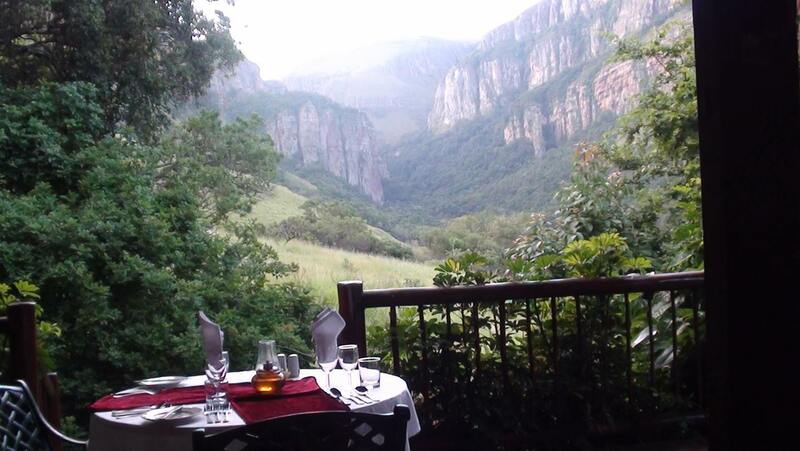 Most beautiful views on mountain, creek-lovely walk to the Waterfall.4 course dinner by candlelight was very good and the best of all was our bathroom with private views on green bush-The Grey Dove room. just be warned...almost NO connection,!!..." "if you want to escape city life this is the best place. 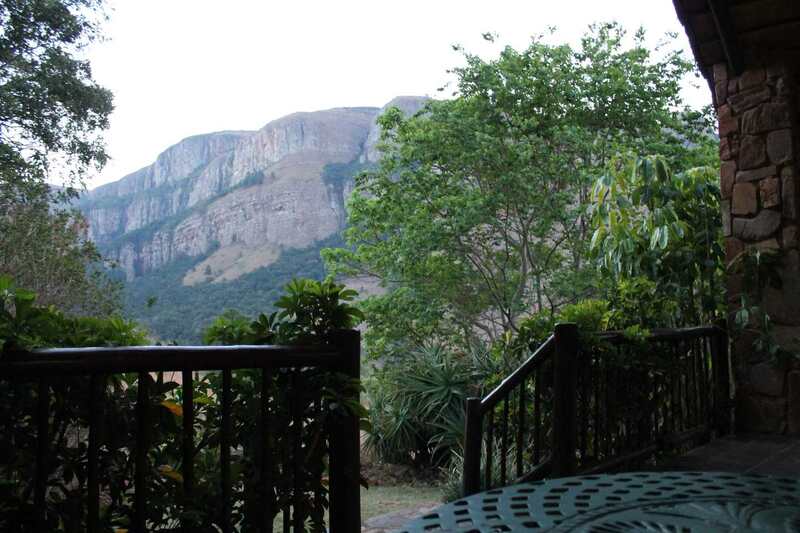 Most beautiful views on mountain, creek-lovely walk to the Waterfall.4 course dinner by candlelight was very good and the best of all was our bathroom with private views on green bush-The Grey Dove room. just be warned...almost NO connection,! !Thanks Anita." 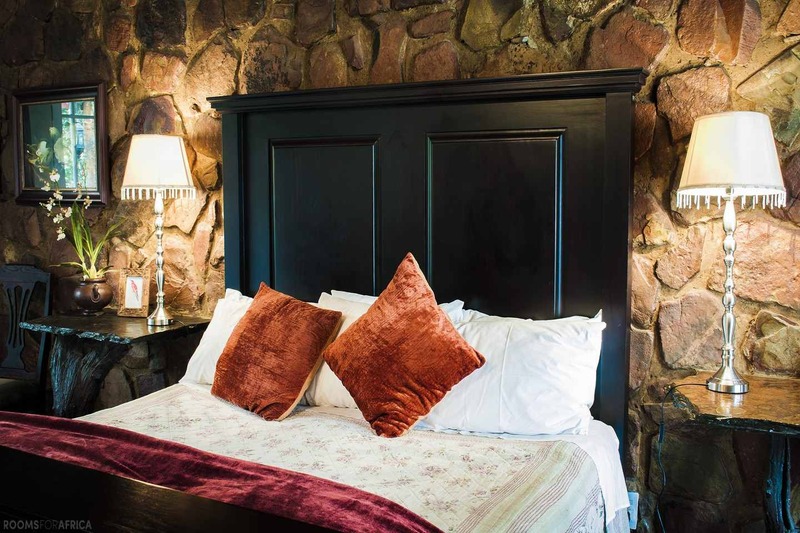 "A Definite Place To Visit For A Romantic Breakaway"
"Forest Creek is really a hidden gem. Nestled between the most beautiful mountains and the most amazing scenery. 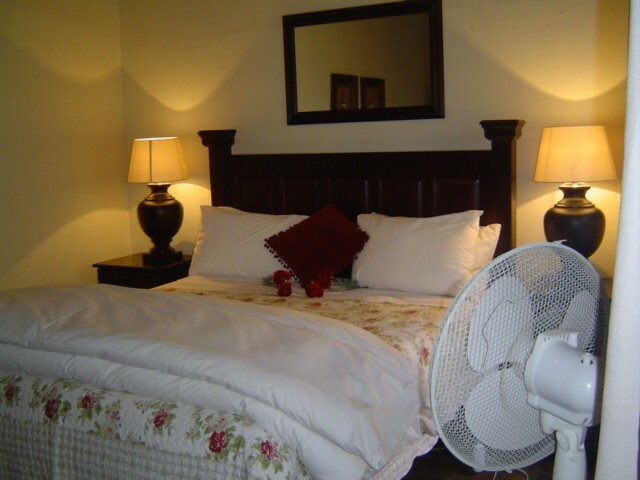 All of the rooms are very private and really nice to share with somebody special. The rooms are very neat and clean and spacious as well. The service we received from all staff was excelle..."
"Forest Creek is really a hidden gem. Nestled between the most beautiful mountains and the most amazing scenery. 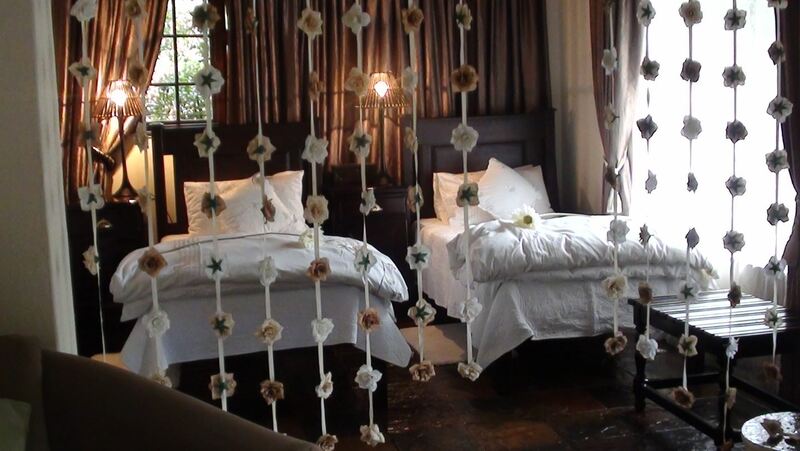 All of the rooms are very private and really nice to share with somebody special. The rooms are very neat and clean and spacious as well. The service we received from all staff was excellent and so was the food. 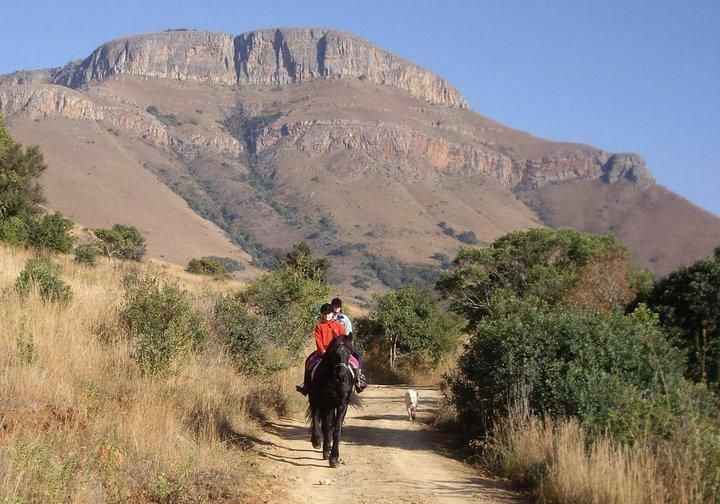 Lots of things to do like hiking, spa treatment, horse riding. fishing, etc. I can really recommend this place to spoil your loved one. " 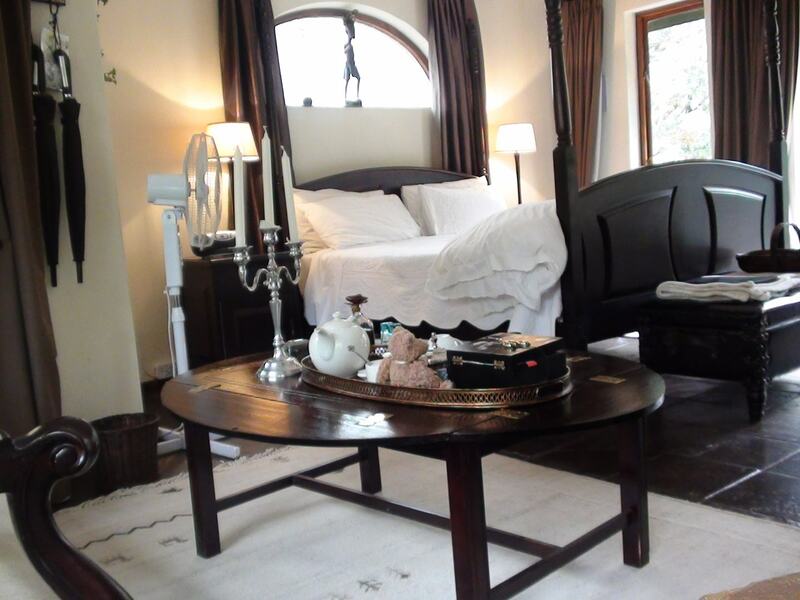 "An absolute joy it was to be staying at Forest Creek Lodge and Spa. My partner and I enjoyed the most amazing, beautiful view of the mountains and the relaxing spa treatment. Hiking and hearing the sounds of the birds while breathing the fresh air was an absolute pleasure. Thank you to forest creek lodge, Antia and the lovely staff members who were forever helpful"
"Beautiful. Very relaxing. Food excellent. Service excellent. Will definitely be back. 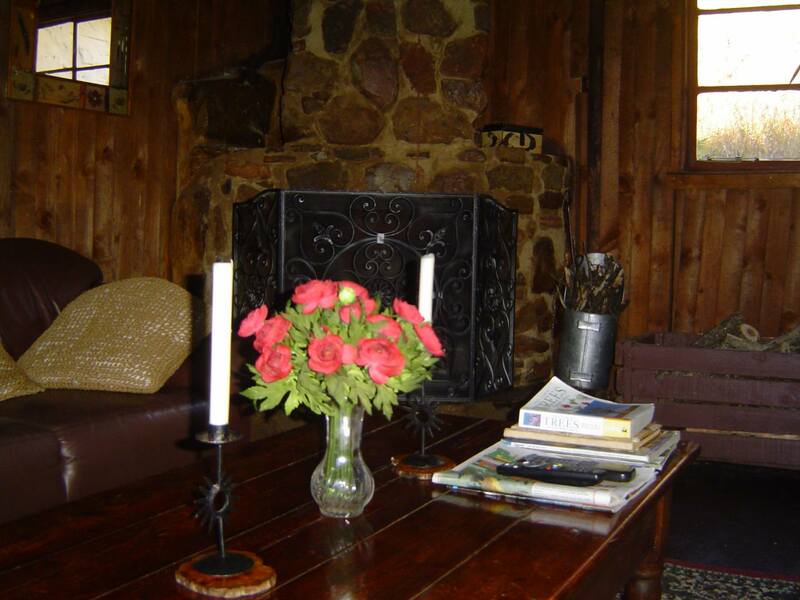 "Forest creek lodge is such a peaceful place to be. We had an awesome time, from friendly staff to their delicious food. The view is so breathtaking...."
"Forest Creek Lodge and Spa"
"We spent one glorious night at Forest Creek, we will definitely come back for longer, the scenery is spectacular, it was an awesome experience! 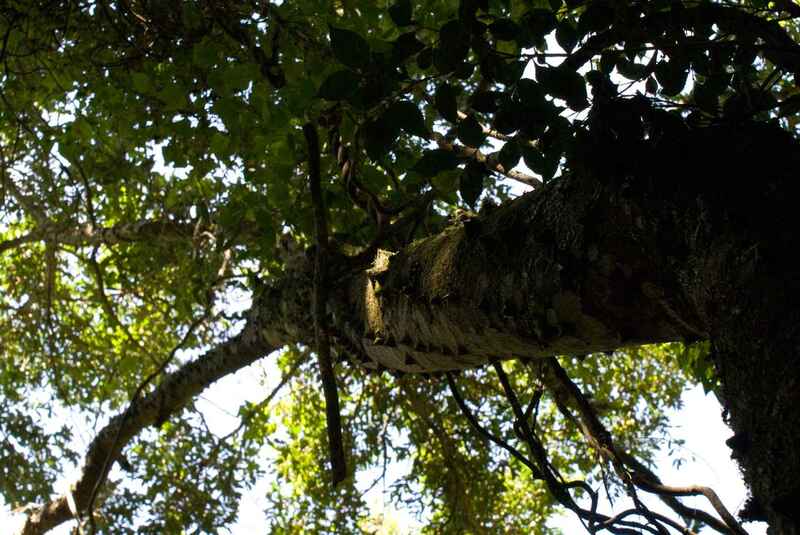 "Forest creek captures the most needed aspects of peace and tranquility . the staff are very kind and mush and Anita the very best of patrons. thank you for an amazing honeymoon. I recommend forest creek to anyone it's really a wonderful place." "We stayed at Forest Creek for our 10 year anniversary and it was wonderful. The room was exquisite, the food sublime and the service impeccable. 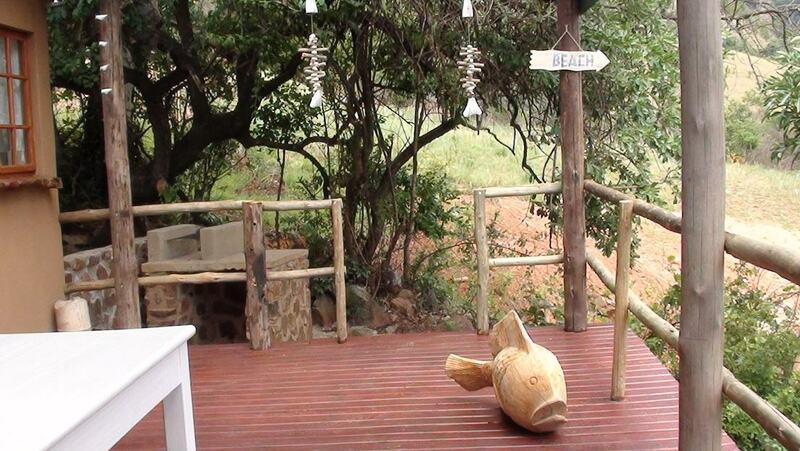 I would strongly recommend this lodge to anyone." "The place itself, the people, food and the overall stay was so nice. I am sure I will return because I was very pleased with the place." "I took my husband to Forest Creek Lodge for his birthday. It was everything I hoped it would be. Romantic, beautiful surroundings, awesome hike to the waterfall (I recommend proper shoes) and fun shooting clay pigeons. We ate way too much, had a wonderfully relaxing time and the staff was great!Woul..."
"I took my husband to Forest Creek Lodge for his birthday. It was everything I hoped it would be. Romantic, beautiful surroundings, awesome hike to the waterfall (I recommend proper shoes) and fun shooting clay pigeons. We ate way too much, had a wonderfully relaxing time and the staff was great!Would love to go again!" "I had a great stay at Forest Creek Lodge. There hospitality is amazing, they go out of there way to make you feel welcome and accomodate your every need. There rooms are clean and tidy. I highly recommend them. I will use the Rooms for Africa website again because it's very user friendly." "We just spent 4 nights at Forest Creek with Anita and her team and I have to say it has been a very long time since we enjoyed a trip as much as this! 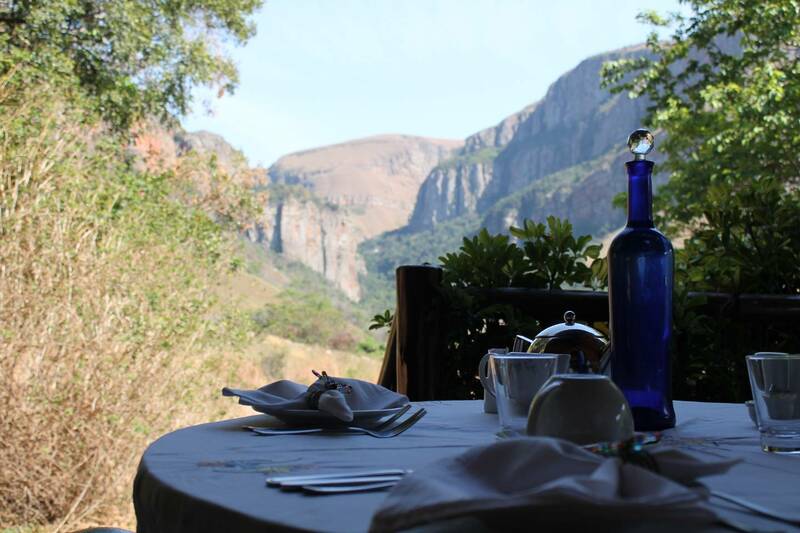 Their food, service and the lodge itself is impeccable - the views and the relaxation out of this world! Would go back tomorrow." 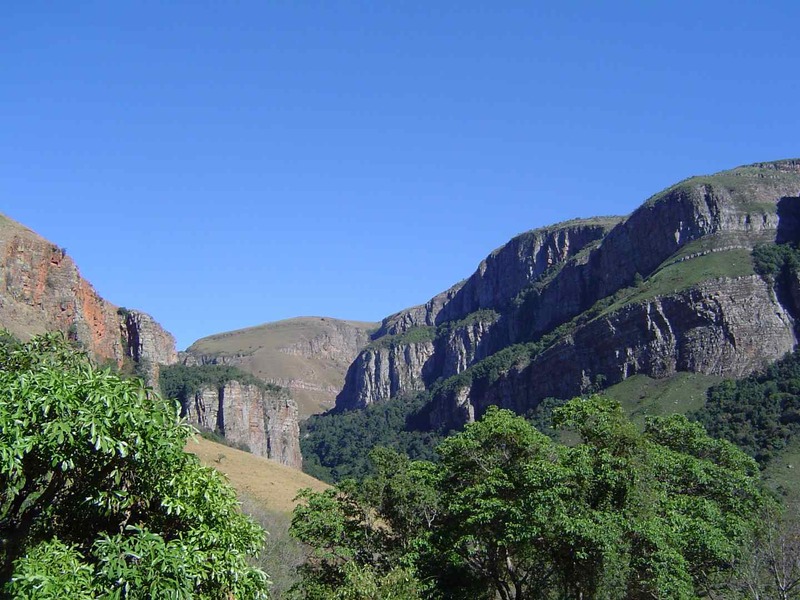 "We decided on the drop of a hat to visit the Dullstroom and Lydenburg area. The pin dropped on Forest Creek. It was a lovely grand experience. 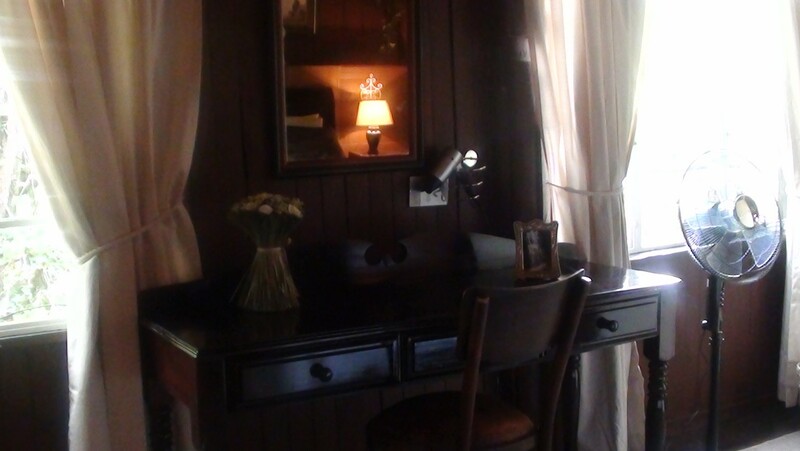 Their attention to detail is excellent, from the reception desk to the turn down of your room for the night. The food was excellent - the cook is a wizard. 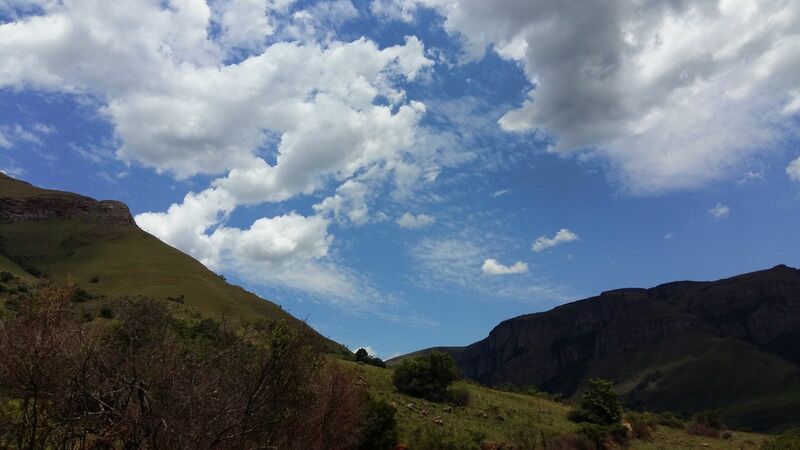 I..."
"We decided on the drop of a hat to visit the Dullstroom and Lydenburg area. The pin dropped on Forest Creek. It was a lovely grand experience. Their attention to detail is excellent, from the reception desk to the turn down of your room for the night. The food was excellent - the cook is a wizard. I will definitely go back in summer and look for fresh mushrooms and ferns." "Thank you for a lovely stay. 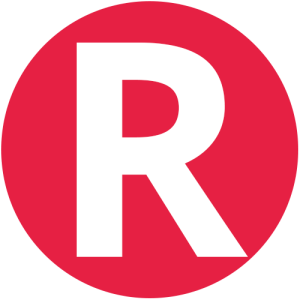 We will definitely recommend to others." "A beautiful venue with very friendly hosts and helpful staff. " "Friendliest and most accommodating staff"
"Friendliest and most accommodating staff set in the most incredible scenery!" 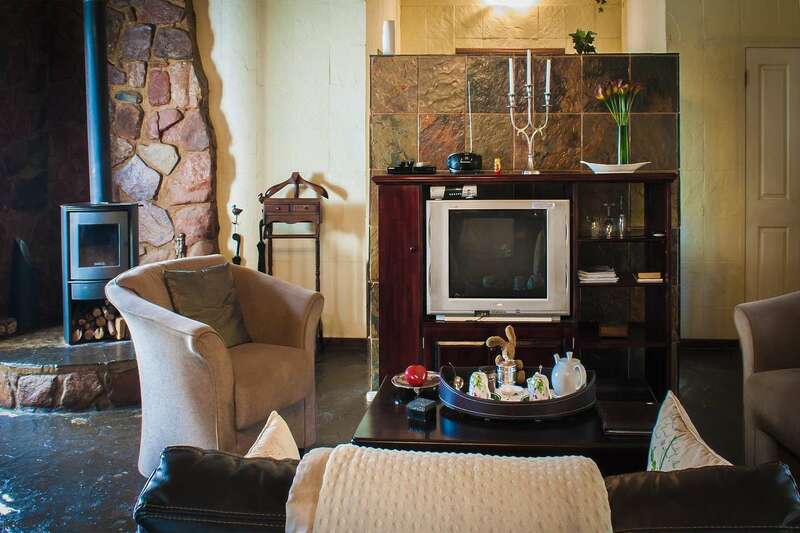 "The staff are friendly, and the lodge is stunning." 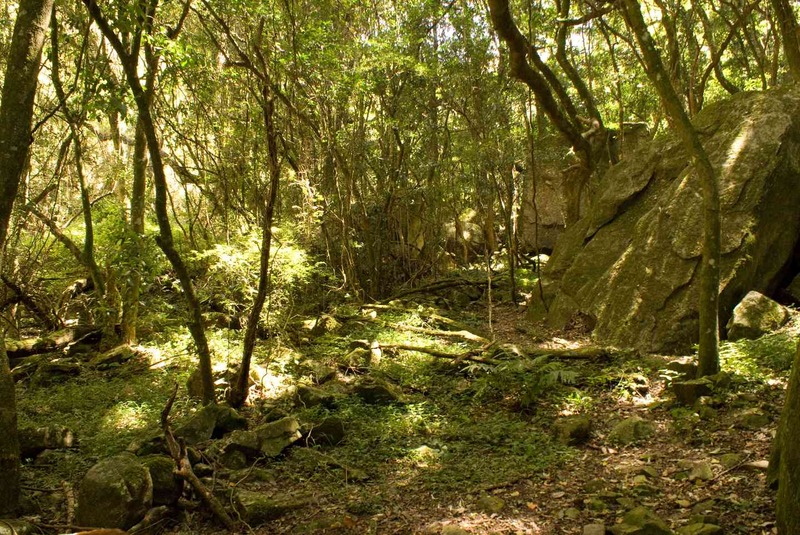 "Way off the beaten path"
"Forest Creek is a great place to stay, being 4k off the main road, it is remote, a true place to be completely isolated, with unusual features, such as an outdoor stone shower and a secluded, romantic "bath in the bush" with champagne! The food was high quality; however, I would have prefered some..."
"Forest Creek is a great place to stay, being 4k off the main road, it is remote, a true place to be completely isolated, with unusual features, such as an outdoor stone shower and a secluded, romantic "bath in the bush" with champagne! The food was high quality; however, I would have prefered some choices in the dinner menu rather than an inflexible set menu. Liked the choices in the breakfast menu. Our suite was very nice, with plenty of space. Loved the windows. Having no telephone in the room was good. A king-size bed, rather than a queen-size bed. 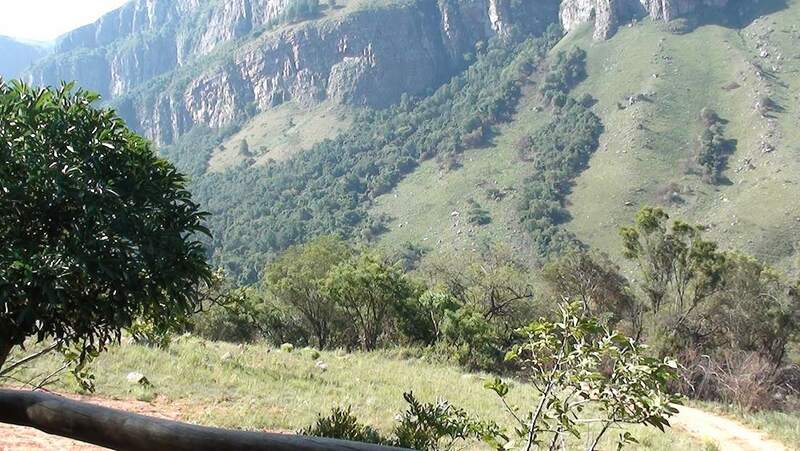 If back in that area of South Africa, we will definitely stay there again, and for a longer period of time for the hiking and to just enjoy the ambience, the quiet, and the solitude. " View of mountains from our breakfast table awesome. Our room, Carmine very spacious. Walk to the waterfall not too much, but worth it." "We had a lovely time at Forest Creek Lodge & Spa. Awesome surroundings! Rooms were neat, clean, big, beautiful and comfortable. Food was delicious and staff extremely friendly and helpful. Appreciated the camping cot and bedding for our baby. Not a lot of establishments cater for the needs of babie..."
"We had a lovely time at Forest Creek Lodge & Spa. Awesome surroundings! Rooms were neat, clean, big, beautiful and comfortable. Food was delicious and staff extremely friendly and helpful. Appreciated the camping cot and bedding for our baby. Not a lot of establishments cater for the needs of babies! Would however suggest that some kind of entertainment for older kids be brought in like a trampoline or jungle gym. We enjoyed our stay very much!" Breathtaking views. Would definitely recommend as the ultimate treat for partners." "Forest Creek Lodge made our 6th year anniversary very special. Our room was gorgeous and attention was paid to every little detail. Staff was friendly and we felt very much at home. Wish our stay was longer. Will definitely be back. :)"
"Stay very relaxing. Beautiful rooms. Food very good. Staff very friendly. We enjoyed our walk to the waterfall." 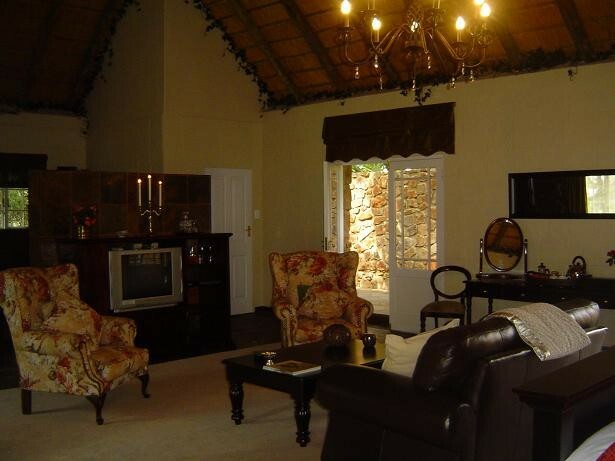 "The lodge and accommodation was very nice. The price was a bit expensive. But we enjoyed the stay very much." "A sanctuary in the mountains...as close to heaven as possible"
"We had the most wonderful relaxing week-end ever! Forest Creek Lodge is truly magnificent and beautiful, peaceful and serene and the setting of the Lodge is absolutely amazing. The service and food was outstanding with most pleasant staff and hosts at your disposal all the time. A real gem in the ..."
"We had the most wonderful relaxing week-end ever! Forest Creek Lodge is truly magnificent and beautiful, peaceful and serene and the setting of the Lodge is absolutely amazing. The service and food was outstanding with most pleasant staff and hosts at your disposal all the time. 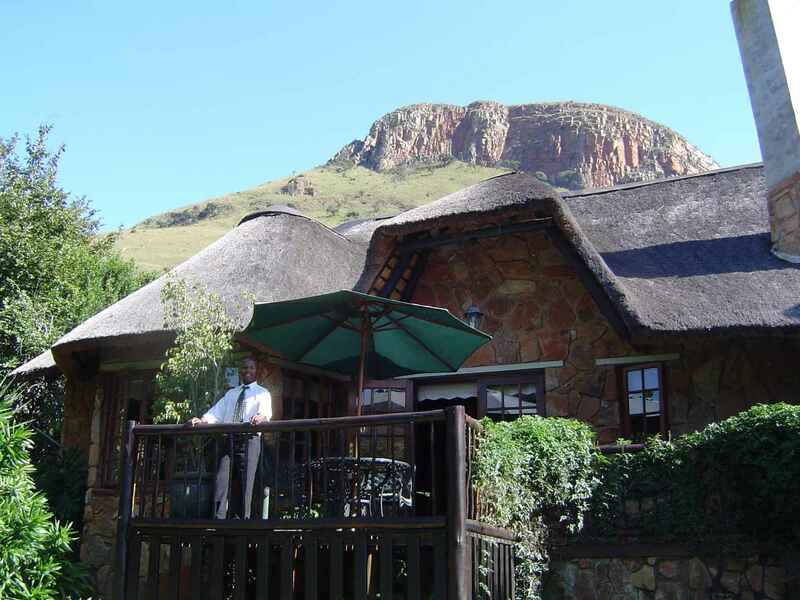 A real gem in the mountains which we can in all honesty recommend to anyone who needs a real rest." "Superb service and breathtaking views"
"I had an amazing experience at the Forest Creek lodge. From the moment we arrived there, we felt like royalty, the manner in which everything was presented to us, from the food, drinks, scenery, activities, to the room , which, well, only one word could aptly describe it....WOW... what a room, beaut..."
"I had an amazing experience at the Forest Creek lodge. From the moment we arrived there, we felt like royalty, the manner in which everything was presented to us, from the food, drinks, scenery, activities, to the room , which, well, only one word could aptly describe it....WOW... what a room, beautiful, spacious, luxurious, comfortable.... what more can one say than, it felt like we had died and gone to heaven, absolute heaven... our highlight was the hiking trail, the true essence and beauty of nature at the tips of our eyelids… so extraordinary... I truly enjoyed the time we spent there… Thank you Anita, Mosh and your team!" "Everything was great, food, people, accommodation. Will be back and stay longer." "We really enjoyed our stay. The staff were friendly and professional and the service very good. " 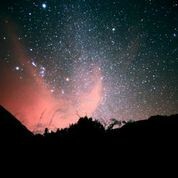 "A surprise wrapped between mountains and stars"
"We arrived to a mystery in the dark of the night. We were welcomed by warm hospitality and a wonderful meal and were left in silent awe of the sea of stars covering the skies. We awoke the next morning to find ourselves in a paradise nestled between mountains. The catering and accommodation was a..."
"We arrived to a mystery in the dark of the night. We were welcomed by warm hospitality and a wonderful meal and were left in silent awe of the sea of stars covering the skies. We awoke the next morning to find ourselves in a paradise nestled between mountains. 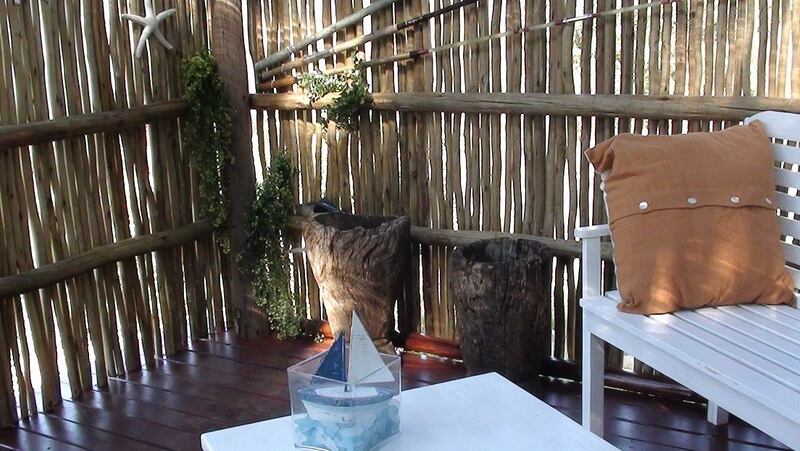 The catering and accommodation was a perfect match to the surrounding beauty. It was truly a wonderful romantic experience which results in a feeling of being mollycoddled, away from everyday stresses and responsibilities. 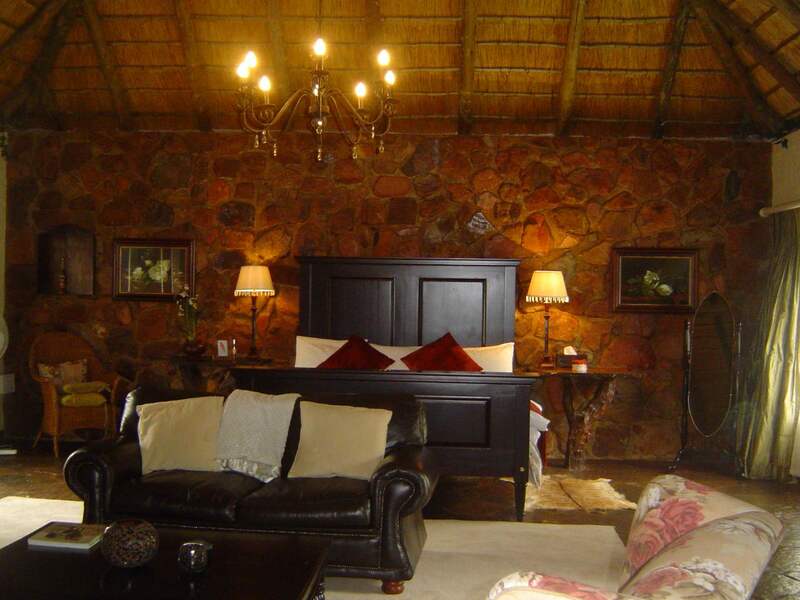 Forest Creek Lodge is well worth recommending and we will return." "A most enjoyable romantic weekend. 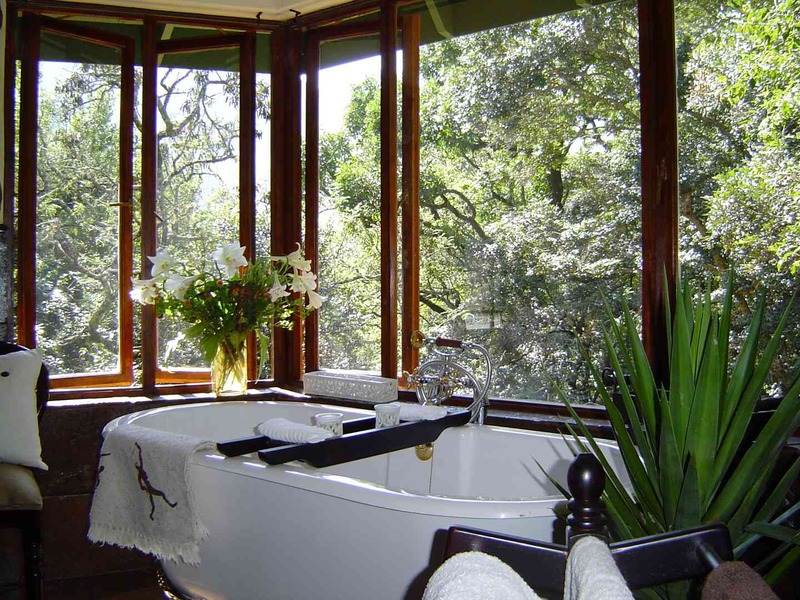 We were most impressed by the little details, they thought of everything - from bush baths, massages, scenic hikes and romantic dinners." 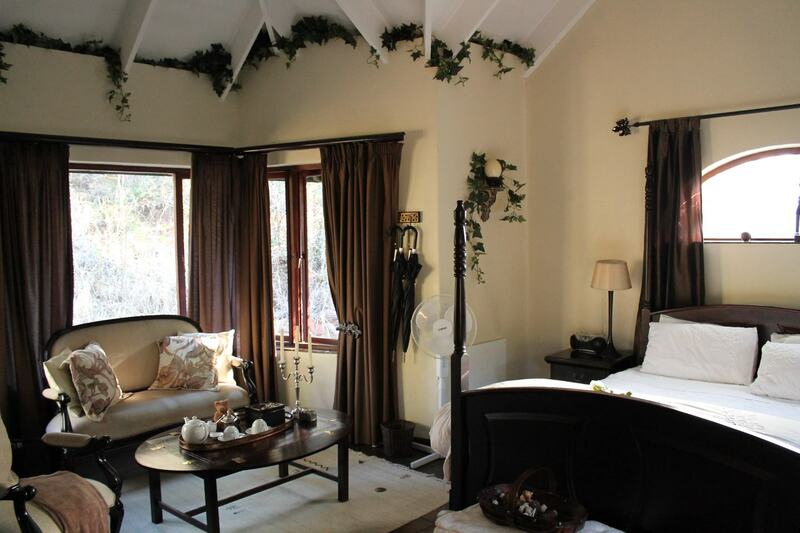 "Our stay here was unexpectedly fantastic the rooms initially appear small and you tend to feel disappointed, however within minutes the attention to detail and decor work their magic and you are swept away into a surreal romantic setting with everything your heart could desire at your finger tips. <..."
"Our stay here was unexpectedly fantastic the rooms initially appear small and you tend to feel disappointed, however within minutes the attention to detail and decor work their magic and you are swept away into a surreal romantic setting with everything your heart could desire at your finger tips. The staff may seem a bit reluctant but, will do what they can to accommodate any requests and strive to create your dream getaway. A little advice is review the pre-arrival sheet and pre-request any requirements before your arrival, that is the last time it need be mentioned which makes the experience all the more special! 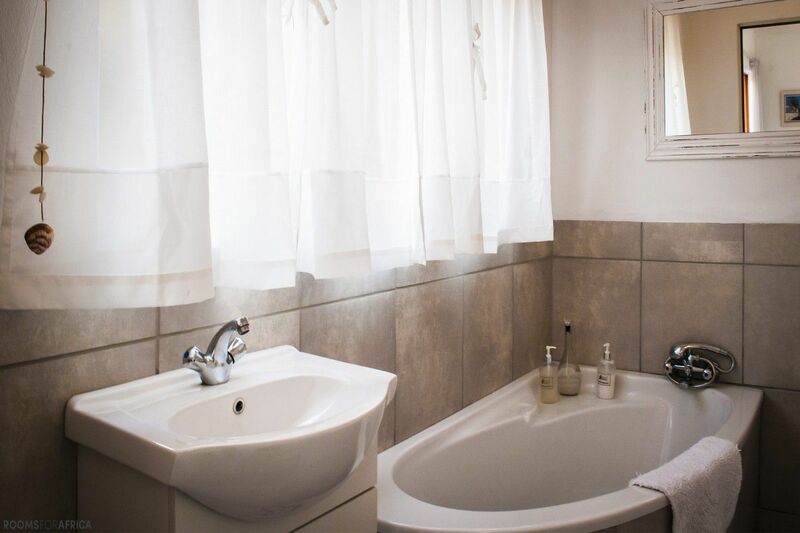 1 the spa, and outside bath and shower facilities don't quite hit the mark in terms of aesthetic presentation but if that is the type of holiday you looking for rather select a facility that specialise in those types of facilities. Both of these issues are insignificant in the greater scheme of things. 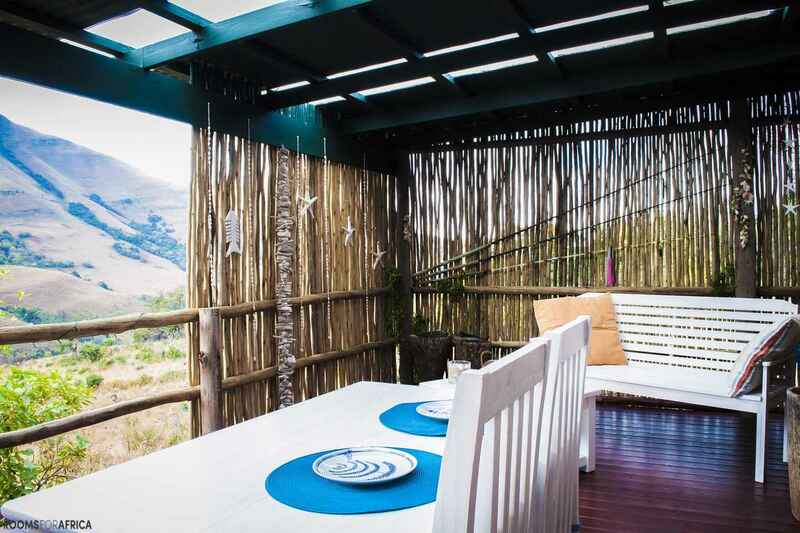 This is truly a peaceful and romantic getaway where a couple can lose themselves and maximise quality time together!" "I enjoyed it tremendously. Kids enjoyed it as well. I was sad to leave to go back home. 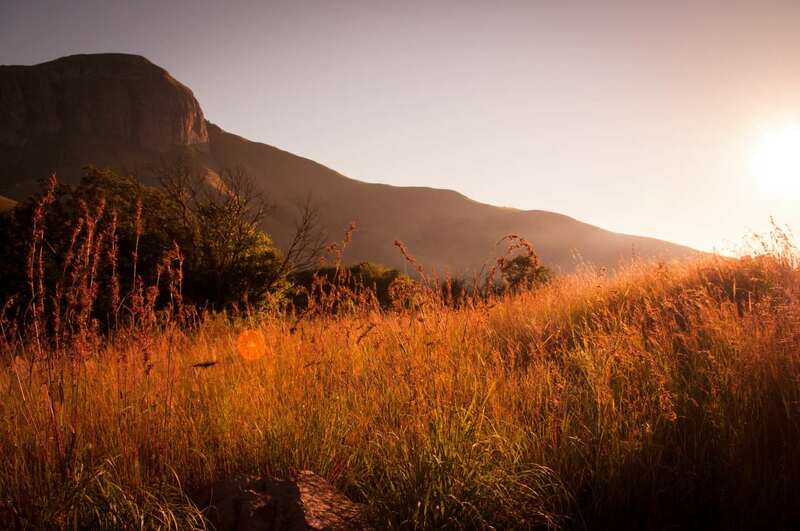 One of the most beautiful places in South Africa. Hospitality is great. We really felt at home. The meals at the restaurant were excellent. We enjoyed hiking with the dogs and my mother (almost 70 years ol..."
"I enjoyed it tremendously. Kids enjoyed it as well. I was sad to leave to go back home. 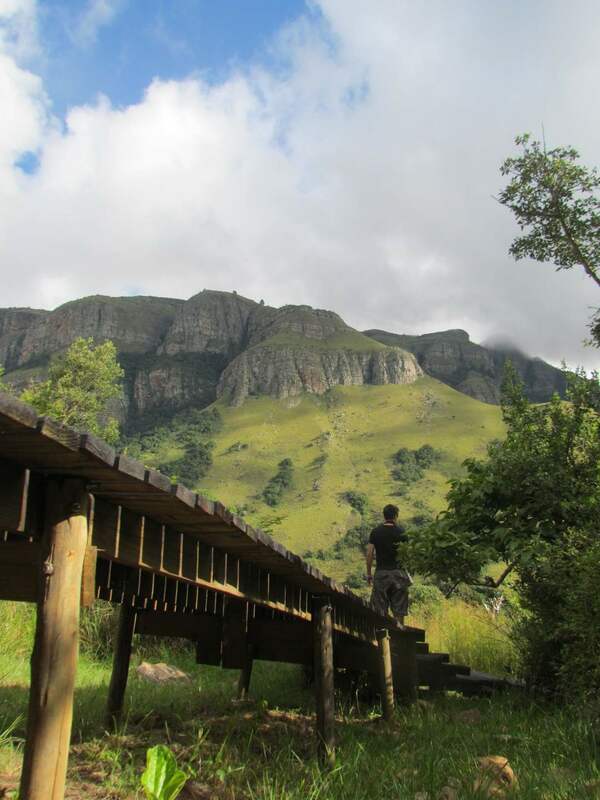 One of the most beautiful places in South Africa. Hospitality is great. We really felt at home. The meals at the restaurant were excellent. We enjoyed hiking with the dogs and my mother (almost 70 years old) joined in as well. Fantastic!" Exactly what we needed to be made aware of what is really important in life. Reality check. My fiancée and I both are in a very corporate work environment where we sit in the traffic for hours every morning to only return home at approximately 7:00 pm. We tend to ta..."
Exactly what we needed to be made aware of what is really important in life. Reality check. My fiancée and I both are in a very corporate work environment where we sit in the traffic for hours every morning to only return home at approximately 7:00 pm. We tend to take each other and our natural surroundings for granted as we are blinded by the repetition of our everyday lives to accept this as being the norm. Then you visit Forest Creek and you realise that there is more to life, and the importance of self healing and appreciating just "being". 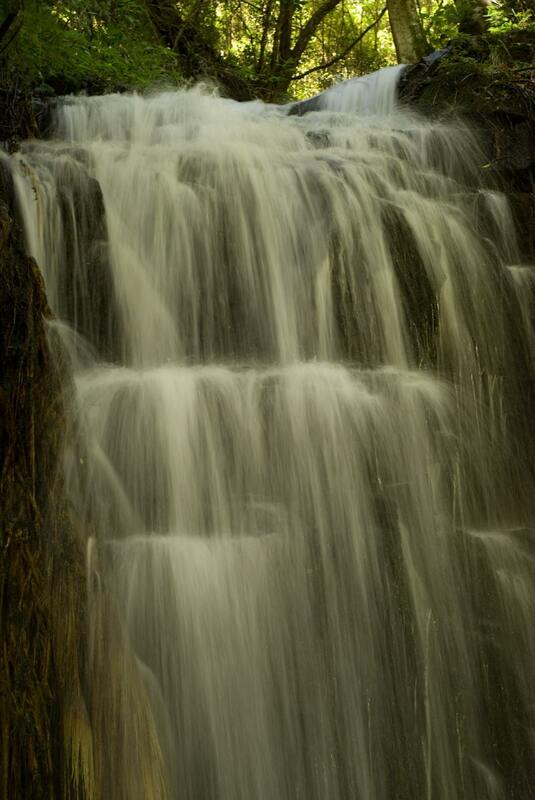 The walk to the waterfall with Heidi and Chester (best tour guides) was exhilarating and refreshing. The staff creates a feeling that anything you require will be dealt with the utmost effort – “no problem", “we will”, “try our best to accommodate”. Our culinary experience was well planned according to our exact needs and preferences. Such consideration and attention is absolutely fantastic. In a nutshell, one of the best weekend breakaways we have ever experienced and we will definitely recommend it to anyone interested in such bliss. 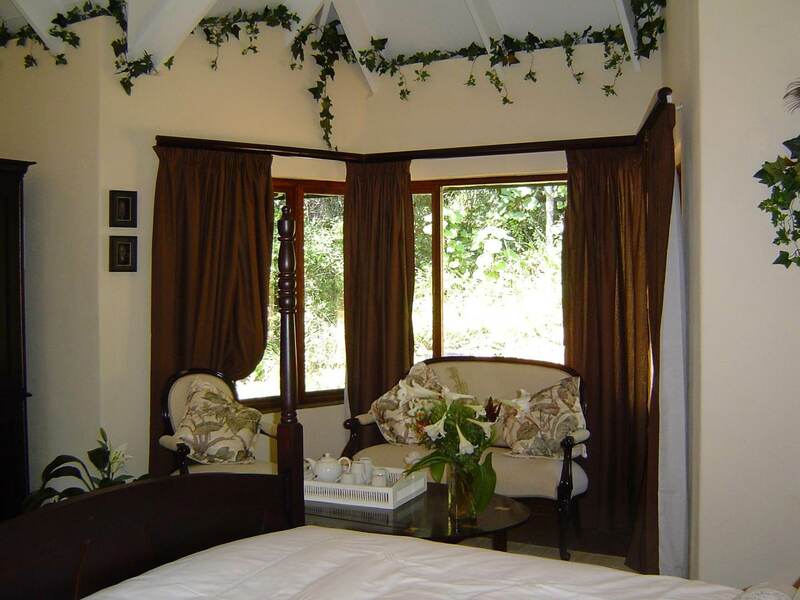 "A wonderful romantic weekend getaway. We got engaged and Anita and the staff went out of their way to make the occasion extremely special for us. We'll definitely be back to celebrate an anniversary or two." "A romantic place set in the mountains. 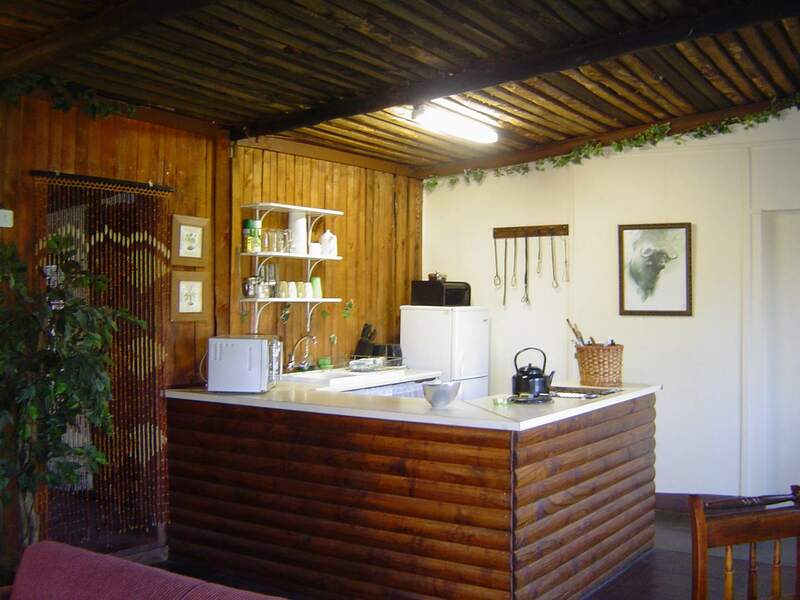 Great place with excellent food and friendly hosts but road conditions up the mountain for non 4WD vehicles improvable..."
"We spent 4 nights in the Cinnamon Cottage and it was awesome. 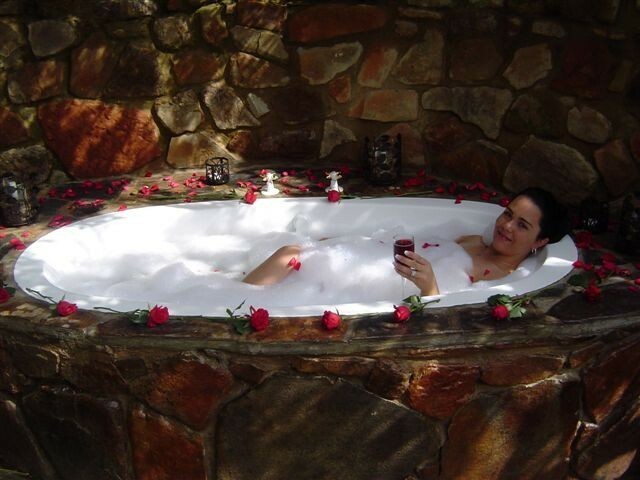 The special touches and service was excellent and it is the perfect place to relax and unwind. We will definitely be back." The food was fabulous & the staff extremely courteous & helpful. The only downside was the difference between the int..."
The only downside was the difference between the internet massage prices & the actual as per the lodge." "We had a lovely time at Forest Creek lodge. 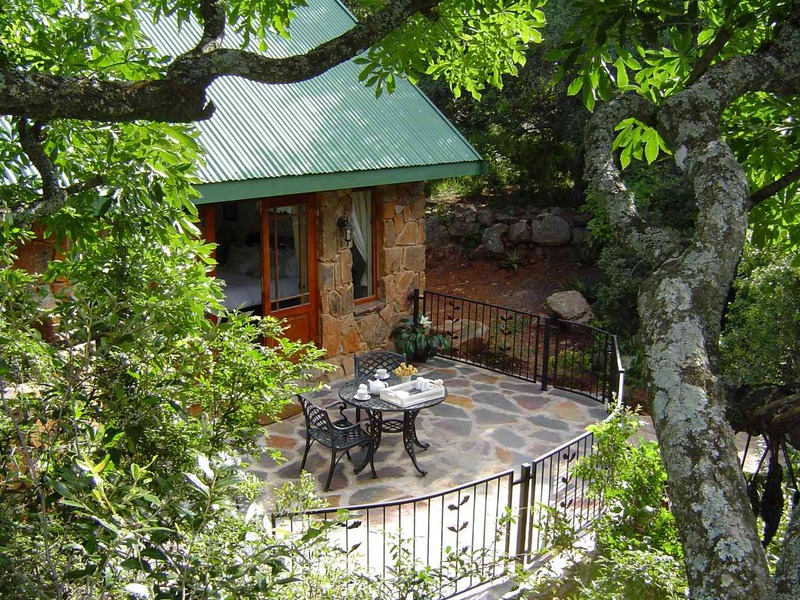 Forest cottage was very secluded which we enjoyed and the hikes were great. We had booked a massage and a bush bath but no-one told us where to go or what to do. Also people should be stopped from taking saloon cars fr..."
We had booked a massage and a bush bath but no-one told us where to go or what to do. Also people should be stopped from taking saloon cars from the lodge to Forest Cottage as I damaged the engine casing on my car, coming back from Forest Cottage. That part of the road is definitely not suitable for saloon cars. 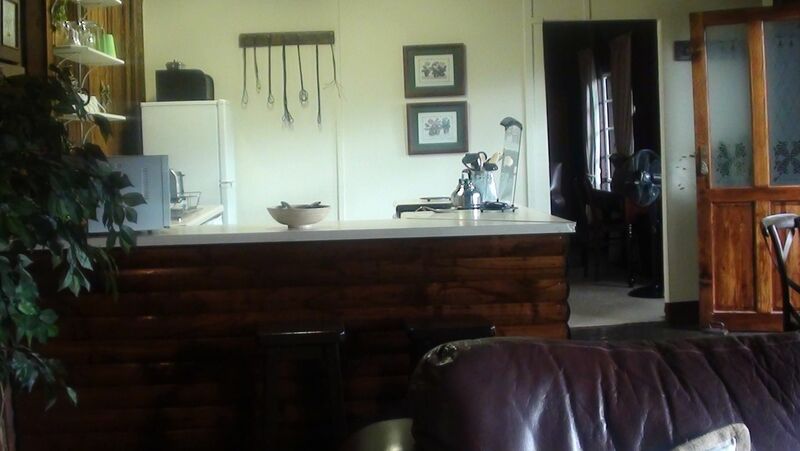 I think the cottage was very basic when compared with the main lodge. One or two more heaters could have been provided as it gets very cold at night." 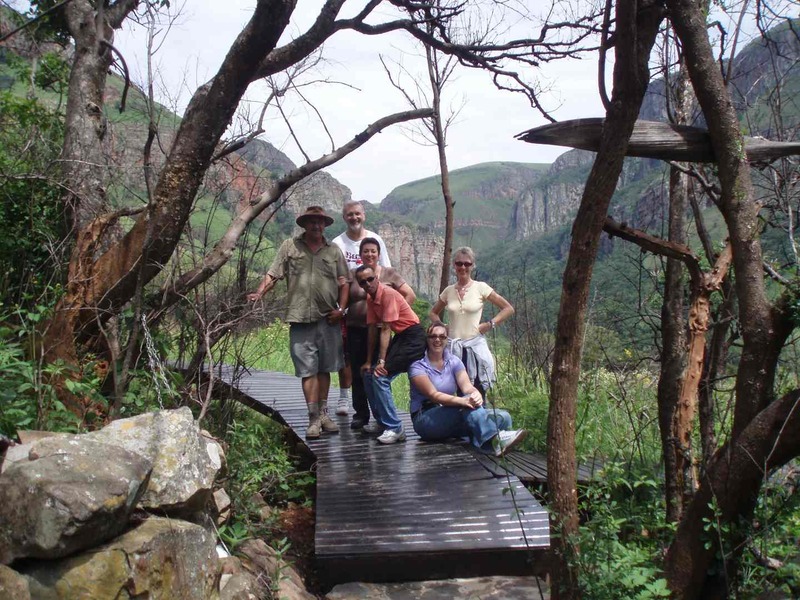 "Forest Creek Lodge: undiscovered jewel of the lowveld"
"If, to be brutally honest, Forest Creek Lodge got 0 out of 10 for the access road this was more than made up for by earning nearly 10 out of 10 for practically everything else! And perhaps even that is being a bit harsh because, notwithstanding the clear warning some where in the literature that F..."
"If, to be brutally honest, Forest Creek Lodge got 0 out of 10 for the access road this was more than made up for by earning nearly 10 out of 10 for practically everything else! And perhaps even that is being a bit harsh because, notwithstanding the clear warning some where in the literature that Forest Creek Lodge is only for prospective guests with HIGH CLEARANCE VEHICLES, we went boldly ahead and got ourselves a listing in the Guinness Book of Records by eventually arriving there (very gingerly) in our Honda sports car. 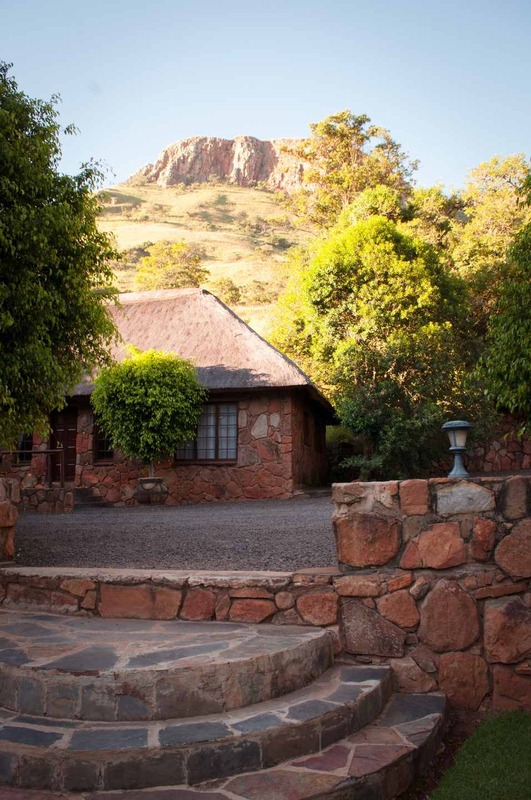 But joking aside, our stay at the Lodge turned out quite literally to be our dream come true of what one expects, but rarely experiences, of a weekend spent in the country 'far from the madding crowd'. The food though unpretentious, was wholesome and healthy, with service (thanks to Paulus) catering to out every need. 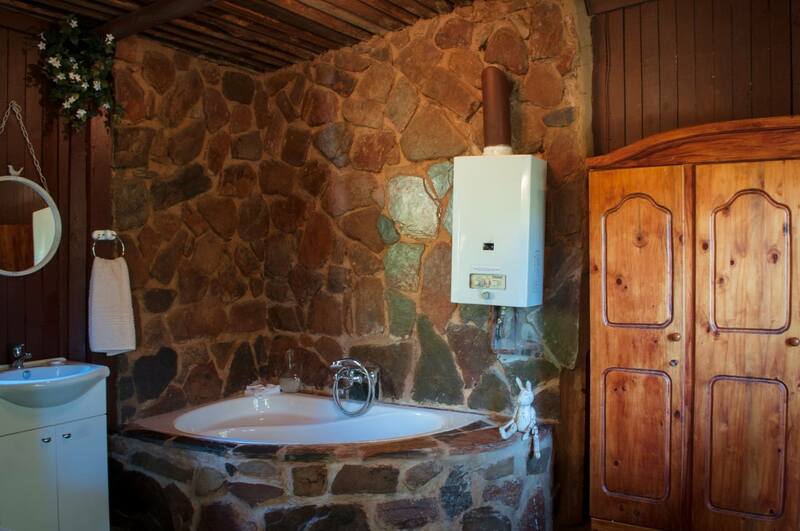 Nor was anything lacking in our comfortable chalet tucked discreetly away from the main building and reached in the most eco-friendly manner by a raised board-walk which picked its way carefully through the surrounding forest. 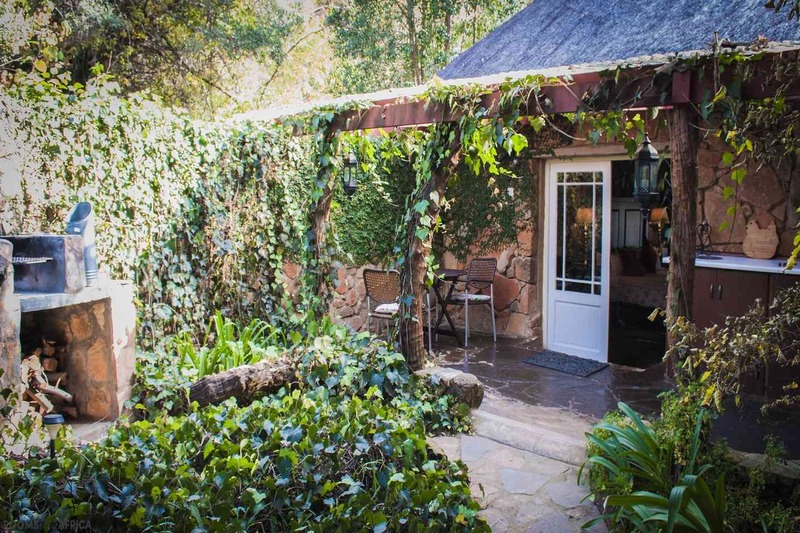 Which brings me to what is undoubtedly the piece de resistance (excuse my French) of Forest Creek Lodge - its location in one of South Africa's last completely unspoilt vegetation habitats. People bandy the word pristine about quite loosely these days but, believe me Forest Creek Lodge has got 'pristine' - more than 10 km of easy hiking trails wending their way beneath imposing krantzes alongside the proverbial crystal clear stream where you will not see an alien plant, nor for that matter, run into anyone else along the way. 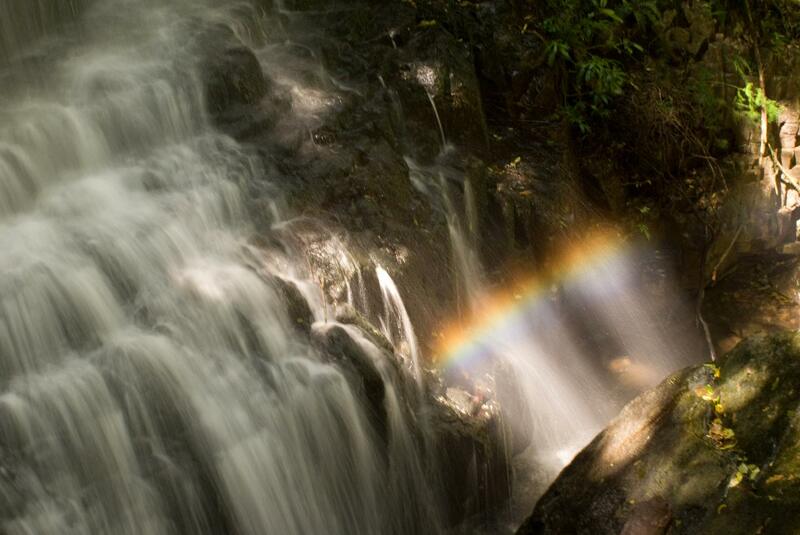 If all this also accords with your dream just go to Forest Creek Lodge and experience it. " " Thank you again for an awesome stay at Forest Creek. You made us feel at home and our time with you was a memorable occasion. Gayle and I could not have asked for a better place to be for our honeymoon. Please convey our warmest thanks and appreciation to Anita, Mush, Petros and Paules an th..."
Please convey our warmest thanks and appreciation to Anita, Mush, Petros and Paules an the rest of the team, including the doggies. We will see you soon. Keep us posted as to the new additions. "pleasant stay in a nice valley"
"The valley is a beautiful haven. peaceful and a nice temperature. The luxury suite was a nice place to stay. The interior looked like it came out of a romantic filmset. the valley is great for walks. And not the least Anita is a very good cook." "Thank You. We had a wonderful holiday. The hospitality was unbelievable. I will definitely go to Forest Creek again." "Had the most amazing weekend. Would recommend it!" "Thank you for a lovely weekend! We felt very welcome from the moment we stopped at the gate. You have an awesome lodge with the best scenery. But without your hospitality and friendliness it will not be the same.